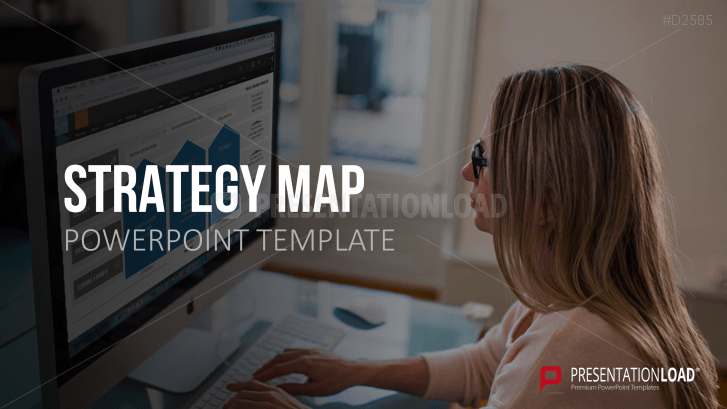 Professional support from Strategy Map examples and templates for PowerPoint to create succeeding business plans. Set includes over 20 Strategy Map examples as well as more than 30 templates to develop Strategy Maps and to vividly display company visions. The Strategy Map visualizes management business plans by focusing on the four aspects of finances, customers, processes and development. The Strategy Map complements the concept of the Balanced Scorecard (BSC) and suits every business which concentrates on strategic management and plans future developments. With the help of Strategy Map charts you can illustrate entrepreneurial goals which allow you to distribute projects and tasks in the best possible way so that plans can be efficiently implemented. Due to this strategic extension of BSC, you can create additional value and put business areas in a well-structured perspective with each other. We created a number of Strategy Map examples to inspire you of how a business Strategy Map may look like. You can either use these templates or create individual Strategy Maps according to your business structures. Find also a variety of layout options such as matrices and process diagrams to create business Strategy Maps as precisely as possible. additional templates such as mind maps, radial lists, etc. I started using PresentationLoad templates a year ago and can varify that they not only look great, but are simple to use and save tremendous effort and time. The strategy map is one of my most used slide layouts. GREAT! I am really happy using your templates. Strategy maps especially as we have many business to discuss and it's helpful to visually have these plans infront of everyone. Two thumbs up for great design and time saving templates. I love the variety of different layout options you provide. Always looking forward to new templates from you guys! I like that your tempaltes are very structured and organized. However, I would enjoy a few more images in the templates. Perhaps in the background or so? There is not much of a wow effect for the audience. Finally, I found what I was looking for! I like the diagrams and strategic maps you offer. If you want to impress your colleagues, you should work with those templates. I had a great presentation and a clear structure of our new plans. Honestly, you see the difference between self-made slides and pre-designed slides.